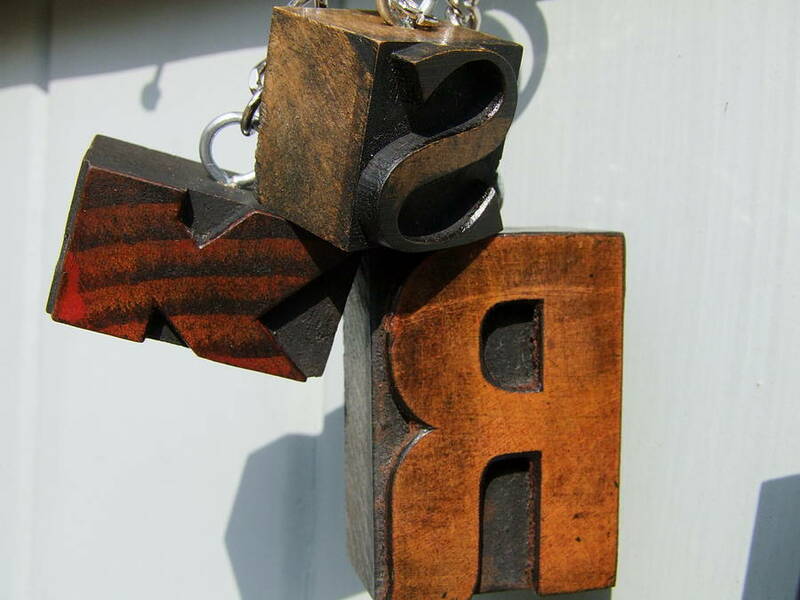 A vintage wooden letterpress print block key ring. 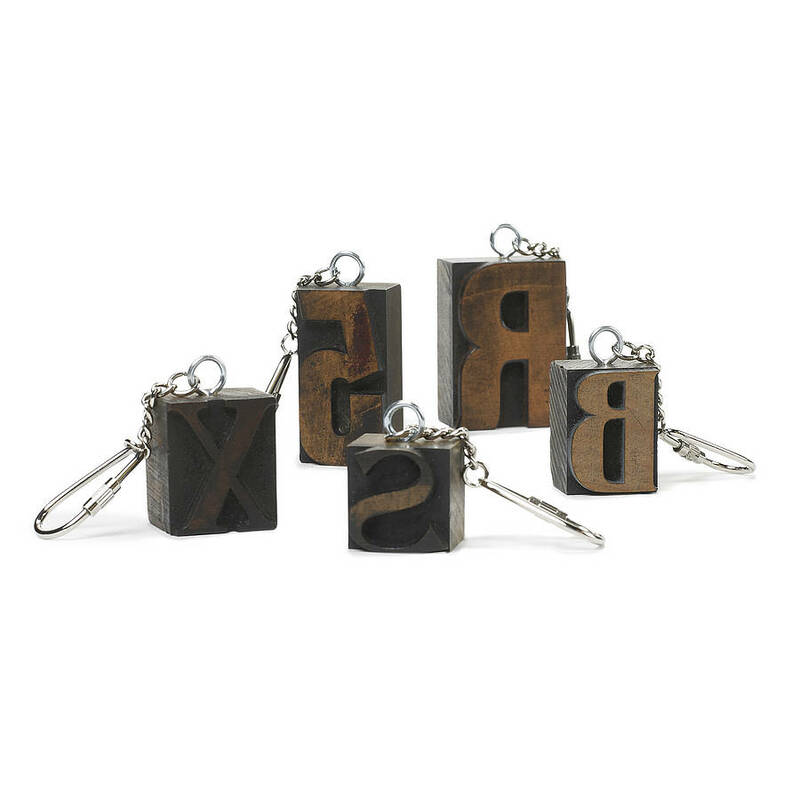 Created with our Vintage Letterpress Printing blocks, a novel idea to add your identity to your belongings. 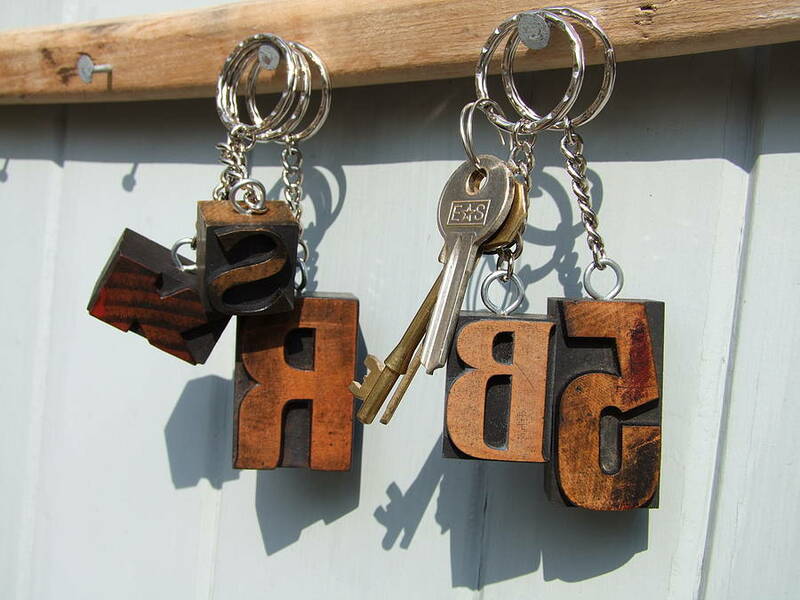 Hang the letterpress keyrings from your car keys, door keys and bags. 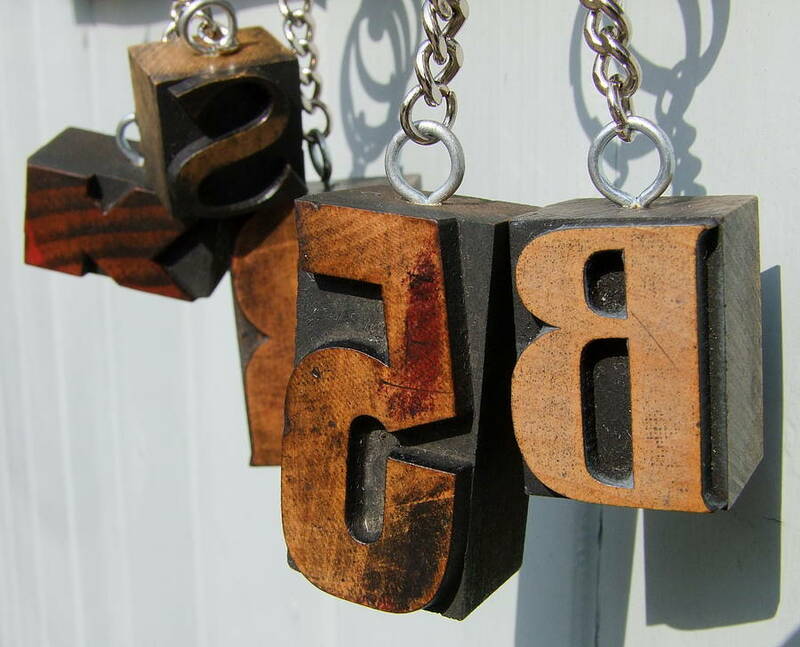 Choose either an initial of a friend or family member, or a single number for a personalised keepsake and a practical reminder of who's who! A great gift for a new home, 'key to the door'........ or for somebody who wants to organise their key rack! A muslin personalised initial gift pouch (pic 2) available at an extra cost if required. A choice of 3 different sizes. 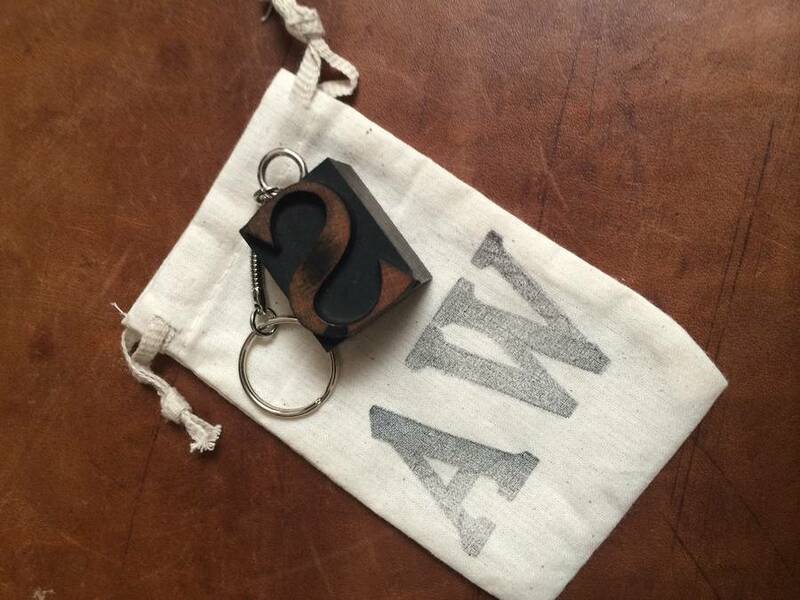 * Key chain may vary.